Just a quick post to say public congratulations to three of my former colleagues in the Department of Physics and Astronomy at the University of Sussex. Kathy Romer (now Professor of Astrophysics) – Kathy is principal investigator of the XMM Cluster Survey collaboration and is coordinating cluster research for the Dark Energy Survey project. Antony Lewis (now Professor of Cosmology) – Antony works on theoretical models of the early universe, as well as comparing observations with cosmological models, and is part of the core team analysing data from the Planck satellite. 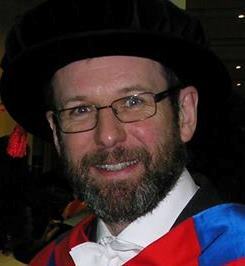 Jacob Dunningham (now Professor of Physics) – Jacob is Head of the Atomic Molecular & Optical (AMO) Physics group at Sussex and works on quantum mechanical entanglement spans the fields of quantum information, quantum optics, Bose-Einstein condensation, and metrology. As former Head of School I knew these were in the system but I left before the somewhat laborious promotions process was completed, so it’s very nice to receive confirmation that they all went through. P.S. Extra-special congratulations to Kathy, because she was born on Tyneside (i.e. not in the Midlands). Once again we’re coming up to Remembrance Sunday, an occasion to remember those who have given their lives in conflicts past and present. This is always held on the second Sunday in November in the United Kingdom, which means that this year it is on 13th November, so that it is close to the date of anniversary of the armistice that formally ended the First World War, which happened on 11th November 1918. Another way to commemorate this is the observance of two minutes’ silence at 11am on 11th November itself. I plan to do that, next Friday (which is the 11th November). I’ve kept my calendar free at 11 am precisely for that purpose. Then there is the wearing of a poppy. The poppy appeal raises money for veterans and their families, but the wearing of these little red paper flowers is something that not everyone feels comfortable with. Some people think that to wear a poppy is to celebrate militarism or even Britain’s imperialist past. I don’t see it that way at all. In fact, if someone asked me to wear a badge to support Britain’s participation in the invasion of Iraq, I’d certainly refuse. I wrote about my reaction to the horror and futility of war some time ago, so I’ll try not to repeat myself except to say that, to me, the poppy is not about celebrating war or military prowess or imperialism, it’s simply about remembering those who died. In fact, one of the main reasons the paraphernalia of Remembrance Day observances (the Poppy, the Cenotaph, the Tomb of the Unknown Soldier, etc) were set up in the first place was to remind not just people but also governments of the devastation caused by World War One. That’s why the Remembrance Day ceremonial laying of wreaths takes place in Whitehall, right at the heart of government. The ritual was specifically intended to be a warning to the politicians who had brought the conflict about not to allow it to happen again. 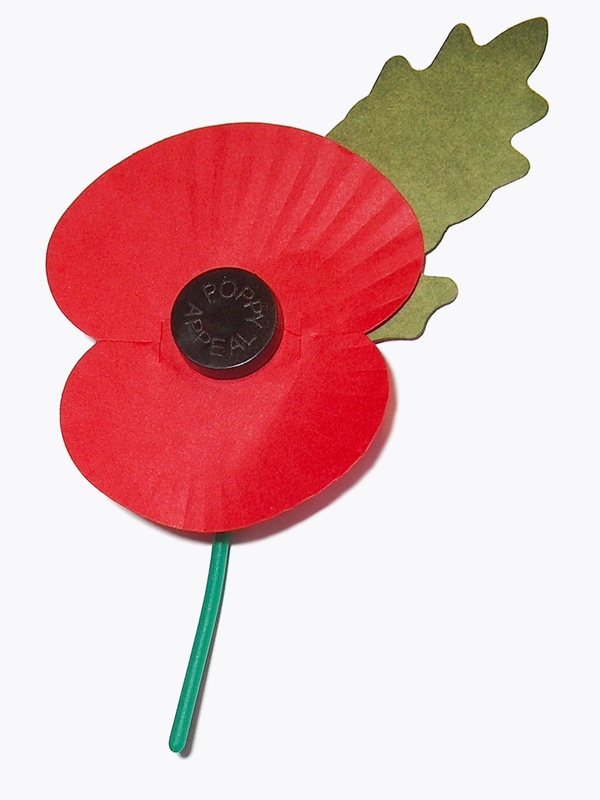 As a young lefty student I grappled with the implications of the poppy appeal. The Peace Pledge Union produces white poppies, as an overtly anti-war symbol of remembrance. For a time I wore a white poppy but, although I am against war, I don’t think a policy of non-violence would have helped much against Hitler’s Nazi regime and therefore can’t really call myself an out-and-out pacifist. One year I wore both white and red poppies, but since then I’ve decided to stick with a red one. Of course many in the Establishment would like the poppy to turn into a symbol of obedience, a kind of alternative national flag. Some people choose not to wear it precisely because it has that implication. The sight of some hypocritical warmongers wearing the poppy at the Cenotaph on these occasions sickens me, but their betrayal does not make me want to stop wearing it myself. Neither does the fact that so many seem to be so contemptuous of the great strides that have been made over the past decades to try to construct a Europe defined by peaceful cooperation rather than by narrow-minded nationalism and conflict. The parallels between Britain in 2016 and Germany in 1933 seem to me to be frighteningly real, and I fear very much for the future if we carry on in the direction we seem to be taking. All I can say is that I’m glad I’m not young. People have a wide range of views about the poppy and its meaning. There is no “right” answer – every person’s attitude is shaped by a number of factors, not least by whether or not they have lost a loved one in any form of armed conflict. Some of us wear wear a poppy, some don’t. It’s a matter of choice. The fact that we have a choice is important in itself. I would probably refuse to wear a poppy myself if someone tried to make it compulsory. Some poppy sellers use the slogan Wear Your Poppy With Pride, but the original meaning is much better expressed by the original, Lest We Forget. I’m not sure I wear mine with pride at all, in fact. What I feel is really more like shame, at the wastefulness and stupidity of armed conflict. I count myself incredibly lucky that I have never had to live through anything like that, not only because I’ve had a relatively peaceful and comfortable life, but also because I have never been tested in the way previous generations were. I wear the poppy to acknowledge their bravery and to recognize my own good fortune. When I stand for the two minutes silence I remember those all who fell fighting on all sides of all wars, and fallen civilians too. I don’t like pressure being put on people to conform. Orthodoxy and fear are always to be regretted and today’s society is over-condemnatory, swift to its manufactured outrage. But this change seems to have come from below, not been ordered by bullies: the daily reports of life and death in the forces, of the danger other 20-year-olds daily find themselves facing. And is the symbolism of the poppy being degraded as it is customised? No. You can’t do much to the fabulous simplicity of this symbol. And the poppy doesn’t preach: it’s not about “right” or “wrong” wars, but about brave dead soldiers. And the message was, never, Remember in the way we tell you to remember. It is, simply, Lest We Forget. So, yes. I am wearing a poppy again this year. You can decide to wear one if you wish. You can also decide not to. It’s entirely up to you. That’s the whole point really. It’s called Freedom.